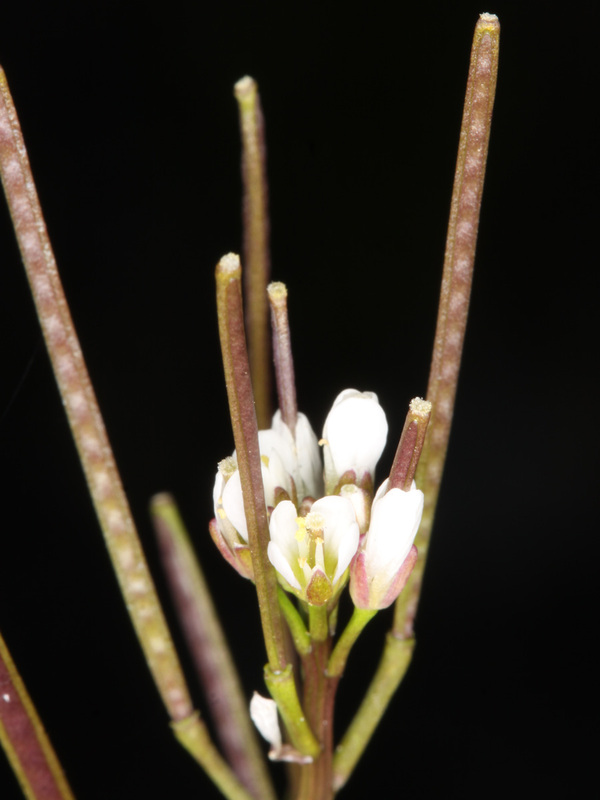 Flowers are followed by small, slender, upright pods 15-25 mm long. Two valves split explosively and coil upwards, spreading the seeds up to a metre from the parent plant. Cuckoo cress (Cardamine pratensis) is a rhizomatous perennial herb up to 60 cm tall. 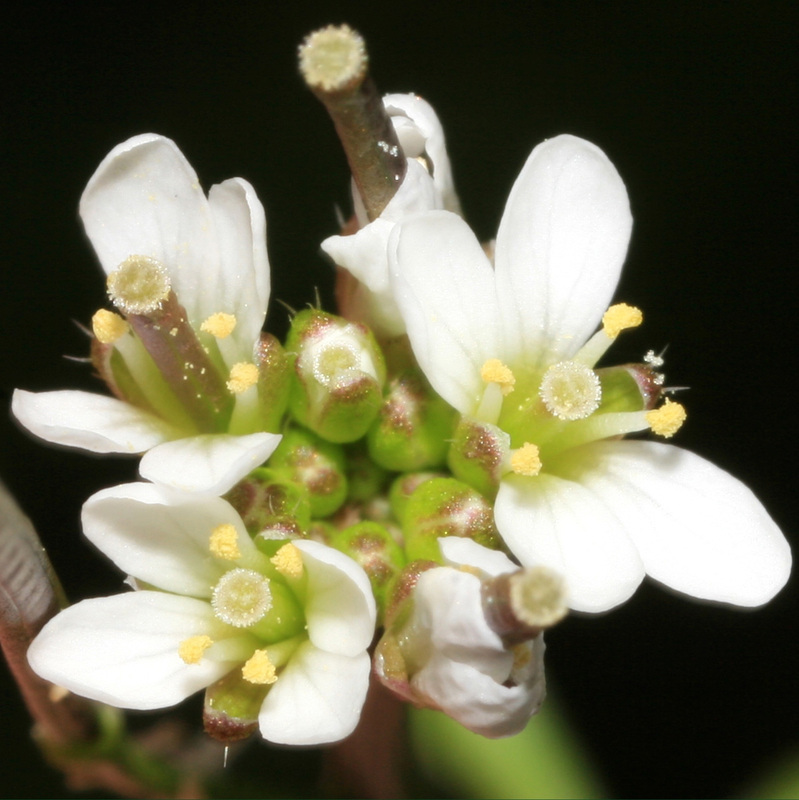 It has larger pink flowers and is found in wet places and along river banks in Northland, Auckland, Waikato, Manawatu and Horowhenua in the North Island and in Westland and Southland in the South Island. First recorded in New Zealand in 1901. In a moist environment bitter cress can probably germinate, grow and set seed at any time of the year. Leaves have a hot, cress-like flavour and have been used as a garnish or flavouring in salads. Commonly found in damp gardens, along driveways, in cultivated or disturbed ground and can also be found growing in plant pots. 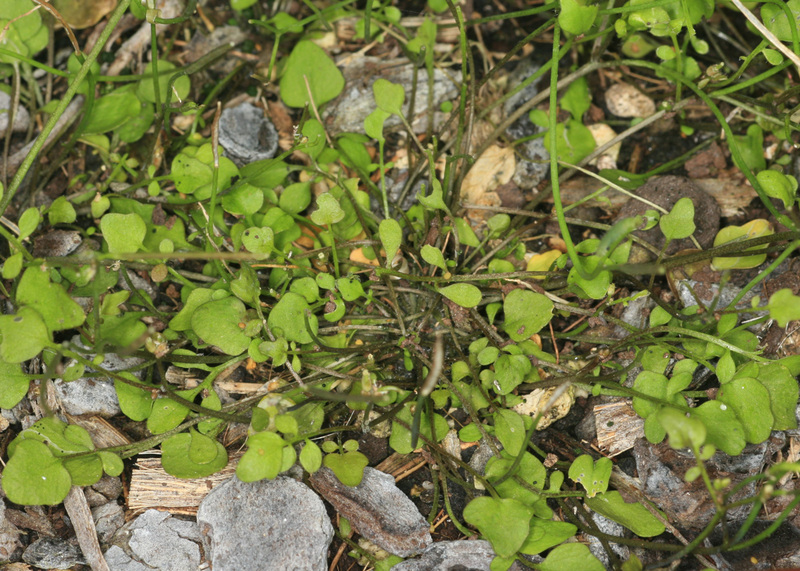 Wavy bitter cress is more abundant in Poverty Bay and has been noted as a weed of arable crops in that region. Young stems with their soft, finely-divided leaves break easily but later become tougher and can sprawl for long distances. Hand weeding is very effective but must be repeated regularly, preferably before the plants set seed. Individual plants are easy to dislodge and uproot. Uprooted fruiting plants can continue shedding seed. 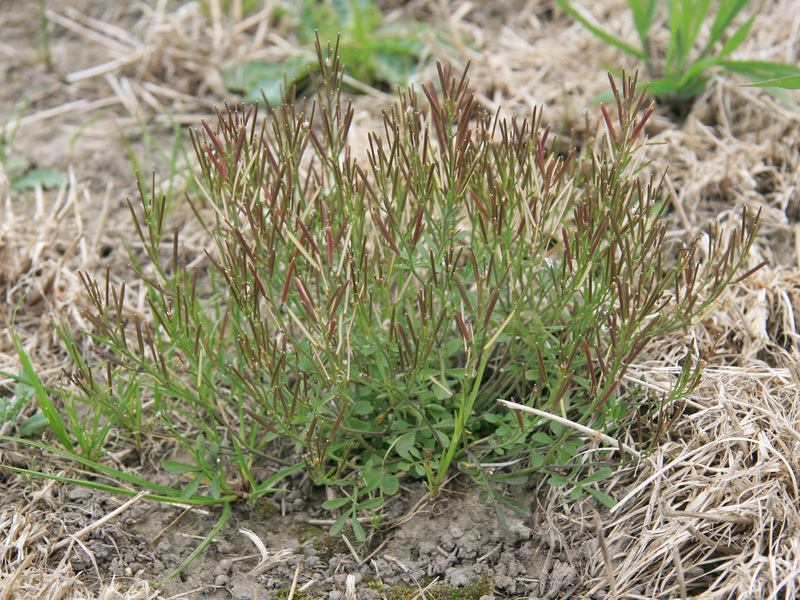 Bitter cress is usually found in open places and the seeds probably don’t germinate under the cover of vegetation. 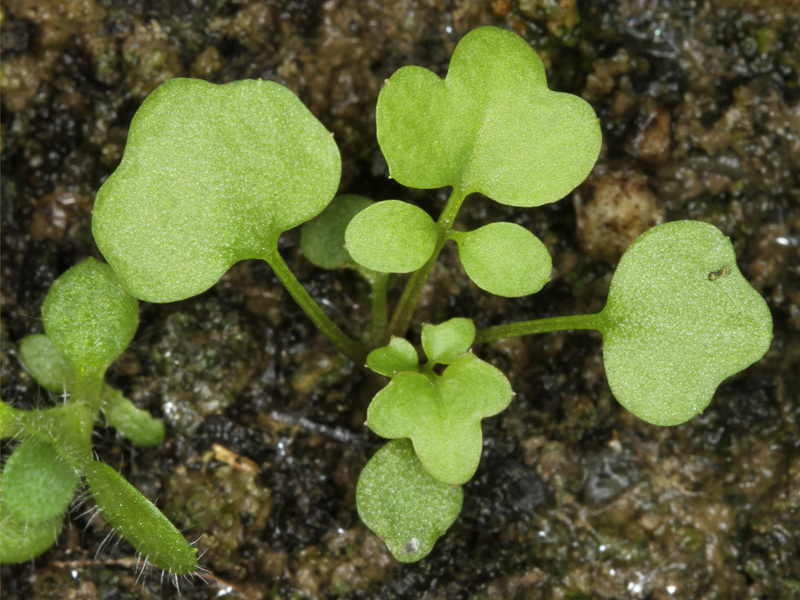 Bitter cress also germinates from very close to the surface (less than 10 mm deep) and will not grow if the soil surface is dry. It germinates best in compacted, damp soils. 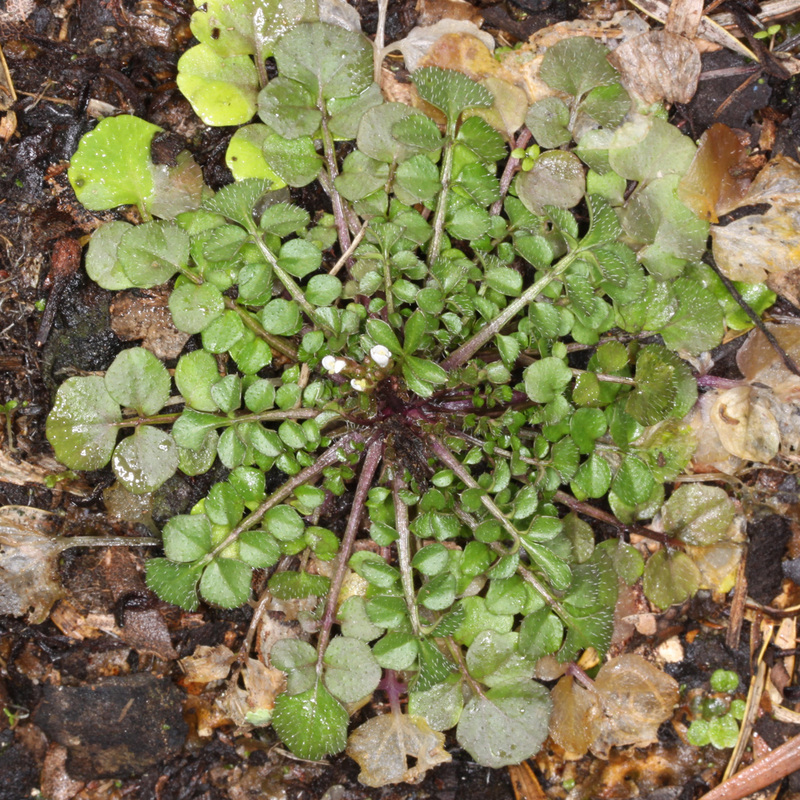 Bitter cress (Cardamine hirsuta) is readily controlled by a wide range of herbicides including 2,4-D, glyphosate and many of those normally used in crop production.